There are many different diets, based on relieving the symptoms of health issues. A low residue diet is not just another fad diet or a means of losing weight quickly. It has been developed by heath care professionals as a means of resolving a variety of health problems that an individual may be experiencing. Below, we’ll discuss the basics of the diet, go over suggested menus, and discover who can benefit from the plan. This dietary plan was created by medical professionals as a way to provide assistance to those struggling with digestive issues. These issues may be caused by a variety of health problems such as Crohn’s Disease, inflammatory bowel disease, or stomach ulcers among others. The foods that are recommended for the diet are easy to digest, making it easier on the stomachs of those suffering from those issues. Foods that are high in fiber are restricted as they are more difficult for the body to digest. The goal is to allow an individual to consume a normal amount of food and get rid of waste easily. This diet is also often referred to as the soft foods diet. It’s easy to see why when you take a look at the list of recommended foods. Often, this food restriction is used as means of transitioning from a completely liquid diet to one that allows for more solid foods. While it is frequently used in this between phase, some may choose to continue using it for longer periods of time. There are some concerns for choosing this option, which will be discussing further. Who can be helped with this diet? Those with digestive issues will often need to go through a process of taking certain foods out, making replacements, and reintroducing various foods. The low fiber plan can benefit those with Crohn’s Disease, IBD, and a variety of stomach issues such as ulcers. The theory is that following this low fiber diet will help the individual to digest food more easily, causing symptoms of these medical issues to be dramatically reduced. The system won’t have to work as hard to process foods and the body will be given more of an opportunity to rest. Those who are undergoing surgery may also be advised to use the low residue diet. Surgeries on the abdomen or intestines as well as colonoscopies may require a limited diet. It is an excellent solution for people are preparing for those procedures or recovering from them. Afterward, as the system repairs itself, other foods can be reintroduced. What foods are included and excluded? As with any set diet, there are lists of foods that are encouraged and others that are restricted. The general idea of this particular dietary plan is to include foods that are low in fiber content and to exclude those foods that have a high amount of fiber. This causes the foods to be more easily digested. The following is a much more specific list of the foods that are encouraged and discouraged. This category includes all dairy products. Milk, yogurt, frozen yogurt, and soft cheese are all allowed, in limited quantities. However, those dairy products that have other ingredients added (cheese spreads, yogurt with fruit included, etc) should be avoided as the extra ingredients could be more difficult to digest. Fruit juices are permitted, but only without any pulp or seeds. Those with additives are not permitted. There are several fruits that can be eaten raw. They include: watermelon, papaya, nectarines, apricots, bananas, cantaloupe, honeydew, peaches, and plums. Other fruits should not be included. As with fruits, many vegetable juices and a few raw vegetables are permitted. Included vegetables are: squash, carrots, beets, spinach, pumpkin, asparagus, green beans, and eggplant. The seeds should not be consumed. Other vegetables should not be included. This dietary regime includes a great amount of breads, grains, and starchy foods. When choosing grains, it’s important to look for “white” foods or those foods processed using white flour. White bread, saltine crackers, white pasta, and many cereals can be eaten. Bread and other products made with whole grains, including seeds and other ingredients should not be included. Meat, poultry, and seafood are all included in this nutritional therapy. Fried foods are discouraged. Desserts are allowed, with the exception of cakes, cookies, and other sweets that are tough or include nuts. Fats such as butter, margarine, and oils are allowed. Caffeine should be avoided. Most people that support this diet do not recommend sticking with it for a long period of time. Because it contains mostly soft foods, it can be a great transition from a liquid diet to one that contains solid foods. It can also be beneficial to those who are undergoing certain surgeries. However, in the long run, there are some risks associated with the restricted menu. Many people note that the limited food choices can be harmful. By only having these specific foods each day, there is a possibility of not getting all of the proper nutrients that are needed to have a healthy diet. It is advised that someone following this diet should discuss it with a medical professional beforehand to ensure that it is safe. Also, after the suggested time, other foods should slowly be reintroduced into the diet. 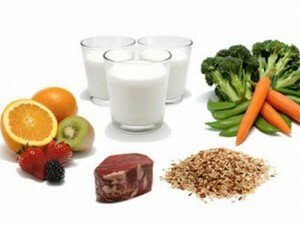 This will prepare the body for a regular regime and will bring those important nutrients back into the mix. As with any change in dietary plan, it’s important to discuss the benefits and potential risks with a medical professional. Many people will benefit from it when followed for a limited period of time. If you’re dealing with a digestive issue or preparing for a medical procedure, this diet could be an excellent plan for you.